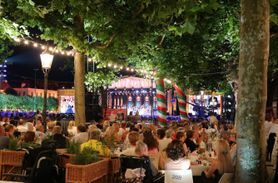 Top off your André Rieu experience with a café terrace package. Enjoy a three-course meal in advance at a restaurant of your choice. 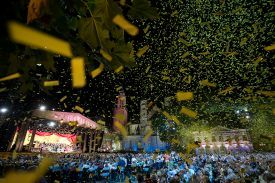 After the meal you can enjoy the concert. The perfect evening! 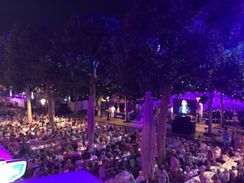 As you dine, the beautiful Vrijthof square gradually fills up as the concert audience arrives and the atmosphere builds. 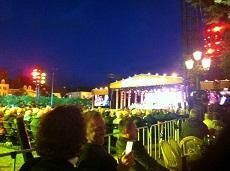 Once the evening’s culinary highlight has drawn to an end, the musical highlight begins: André Rieu takes to the stage. 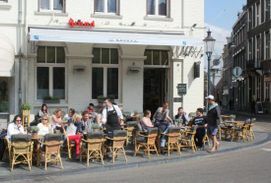 Via this page, you can book a number of Vrijthof café and restaurant terrace packages online. 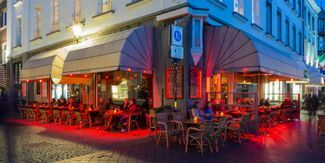 These terrace packages are also for sale at the Maastricht Visitor Center, Kleine Staat 1. 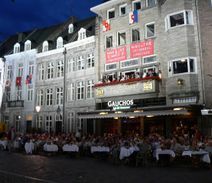 The other cafés and restaurants on the Vrijthof square are managing ticket sales themselves. 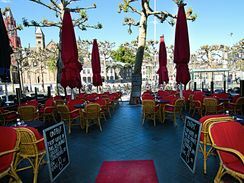 All the café terrace packages listed are excluding drinks. 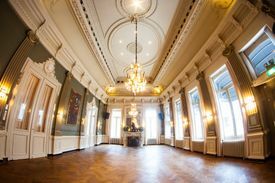 Tables will not be served during the concert so as not to disturb other audience members. Of course, you can order before the concert begins. You can take your seat at your table from 6:30 PM and dinner will be served from 7:00 PM. The concert begins at 9:00 PM. A view of the stage cannot be guaranteed. 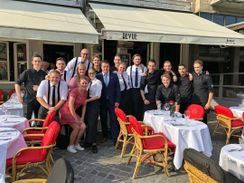 By booking a café terrace package, you indicate your agreement with the instructions and tips of André Rieu Productions, where you can also find further information.